WASHINGTON, Nov. 27, 2018 /PRNewswire/ Al-Monitor,the global news organization covering the Middle East, announced today it has namedAmberin Zaman as a Senior Correspondent. Zaman has been a columnist for Al-Monitor for the past five years, examining the politics of Turkey, Iraq and Syria and writing the daily Briefly Turkey newsletter. Prior to Al-Monitor, Zaman covered Turkey, the Kurds and conflicts in the region for The Washington Post, The Daily Telegraph, The Los Angeles Times and the Voice of America. She served as The Economist's Turkey correspondent between 1999 and 2016, and has worked as a columnist for several Turkish language outlets. Headquartered in Washington, D.C., Al-Monitor recently introduced new features including short form video, podcasts and long form stories with audio offering content on new platformsandaiming to reach a wider, international audience. In this new role, Zaman will be reporting from the Middle East, North Africa and Europe, providing news and analysis on the trends shaping the region. In her new position, Zaman will further Al-Monitor's goal of reachingandengaging with audiences who wish to connectandunderstandthe nuances of a region that is so rapidly changing. "Iam so pleasedto expandMs. Zaman's role," said Jamal Daniel,Al-Monitor's founder. "Amberin's extensive experience reporting and telling the stories of the people and politics of the regionalign perfectly with our mission to be the leader in providing deep insights from the Middle East." 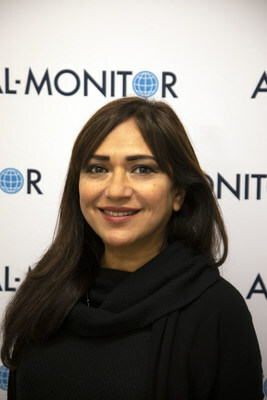 "I am thrilled to be expanding my role at Al-Monitor as a senior staff correspondent covering the broader Middle East and North Africa Region," saidAmberin Zaman. "Reporting from the field and giving voice to people whose lives are being affected by decisions being made thousands of miles away is what I most cherish about my work. There is no substitute for 'being there.'" Al-Monitor is a global newsroom headquartered in Washington, D.C. with a network of over 160 authorsand analysts around the world. We monitor the pulse of the Middle East via our award-winning, multilingual platform and publish a diverse set of perspectives connecting local experts to audiences with a desire to better understanda region that is so rapidly changing.